A metaphysical approach to weight loss is the key. So throw away those rigid diets and give up running 25 times around the block with weights tied to your gym shoes, you deserve more than that! Usually, we overeat to comfort ourselves. Feelings of loss, loneliness or lack of self esteem overwhelm us, so sucking on the nearest chocolate bar is a fast solution to inner pain. From a metaphysical perspective, creative thinking will naturally build the body we are dreaming of. You see if we “think” overweight and ugly we usually are those inner emotional gaps and lack of self esteem need filling up with over eating. We want that inner emptiness to go away, which could mean we are creating a future over overeating. In order to lose weight it is highly recommended that you start changing your thoughts about yourself and start believing in angels. A spiritual approach is not “easy peasey” for many. We have not been trained to think for ourselves, let alone “metaphysically”. We have been “told” what beauty is by the “powers that be”. Good looking women are classified as stick thin, big lipped, big breasted and long legged. We need to be strong enough to understand beauty is unique. Look in your garden, all the flowers are different, but every one of them is beautiful. Daffodils differ from roses, but both gladden our hearts and lift up our mood. Therefore, moving away from the status quo perception of beauty and using the gift of creative imagination is a challenge we need to confront, but will help us in our “self esteem” mission. We all know diets cannot be followed if we look on them as some sort of medieval torture. Believe it or not, comfort eating is a result of diet stress. The more rigid the diet the more tormented we become. What is the result, even more comfort eating and weight gain! The fact is we need to accept ourselves. We need inspiration and positive thought forms that are stronger than our need for food. Here are some ideas to help you on your way that you can accept or reject as the mood takes you. 2: Pin a photograph of a curvy woman in full view, (Marilyn Monroe was a size 16, and Kate Winslet is no stick insect, yet both are stunning ladies). Make sure the “Ms Beautiful” picture inspires you so you realize just how gorgeous the female form actually is. 4: Get a few Reiki sessions and ask your healer to concentrate on self esteem issues, which are usually stored in the solar plexus/spleen and heart chakras. 5: Energize water, hold your hands over it, and as you do, see yourself as beautiful with the body you desire. Then store the water in the fridge. Spray yourself with it each morning. 7: Do not be a metaphysical snob; spirituality exists to help you with all of life problems! Realize your guardian angel wants you to look good, and have a great time on this planet. So call on them to help you through eating frenzies. See them standing in front of you smiling, each time you make a beeline for the fridge. You could also stop your mission to the fridge with a quick meditation. 8: Choose some beautiful music, lie down, or sit in a comfortable position and ask your angel to transmit your individual beauty colour. Let your beauty colour flow through the top of your head into your face, through your body, blood stream, flesh and bones. Imagine the colour you thing you, emanating all around you, creating a magnetic beauty vibe. Hold that colour in your consciousness all day. Note the changes in people’s reactions to you as a result of this technique. 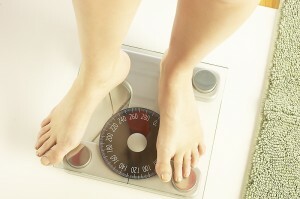 9: We also advise you to consult with one of our specialized healing psychics on weight loss. They will add even more exciting ideas to your slimming programme. Really you don’t have to stand on the sidelines. You just have to realize that “thought is indeed creative” and the more you practice channelling positive vibes into your being, the slimmer you will become, and above all the more beautiful you will become. The baseline problem of overeating is lack of self esteem. Deal with that first and then start your diet. But make sure it is not in the “food deprivation style”, and based on your sense of being “unattractive”. 10: One thing is for sure, God loves all types of bodies, short, tall, fat, thin, there is something intrinsically beautiful in all of us, and if we believe others love us simply because of the way we look, we might have to move planets. True love is unconditional and totally mysterious; it does not obsess on the bathroom scales. So give yourself a break beautiful lady!